Even good sites may have certain tools that aren't so hot. Some sites may make you poorer. And sometimes the problem is you. 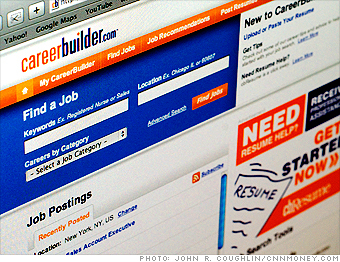 Don't: Limit your search to job-posting sites such as CareerBuilder.com. Employers filled only 4% of their open positions through CareerBuilder (one of the nation's largest such sites) in 2008, according to staffing strategy firm CareerXroads. Instead: Network: 27% of external hires are found through referrals.